It feels good to downsize. I forgot how good it feels to hold 4 inches of magic in my hands. Spending the past year and a half with the luxurious 5.5-inch screen of the iPhone 6 Plus and 6s nearly convinced me that bigger really is better. But after using the iPhone SE, I’m starting to rethink everything I love about iPhone. The moment I clasped the iPhone SE it was like reconnecting with an ex-lover. Everything is familiar and yet it has somehow improved in nearly every single way. I’ve been re-captivated by its beauty, brains, and brawn all over again, even though on the outside, it looks like such a boring device. How can an iPhone that looks so old feel so right? 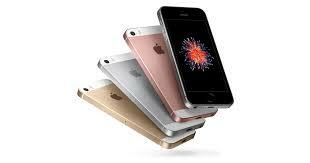 If you like the classic design of the iPhone 5 and 5s you’ll love the iPhone SE. The chamfered edges don’t change the feel much. While the curved body of the iPhone 6 and iPhone 6s is elegant, the design of the iPhone SE is perfectly iconic. The first thing I noticed when picking up the SE is how much I’ve missed the flat edges and it’s sturdy build. Having the power button back at its rightful place at the top is nice. I also love the round volume buttons, which are more distinctive than the set on the 6/6s that sit more flush with the case. The very best thing about the iPhone SE design though is that it fits in my Donald Trump-size hands. Typing with one hand feels so damn good. The SE body also doesn’t come with a camera bump, which might become a rarity. I also realized this could be the last iPhone Apple makes with a headphone jack. Oh yeah, and it comes in pink! 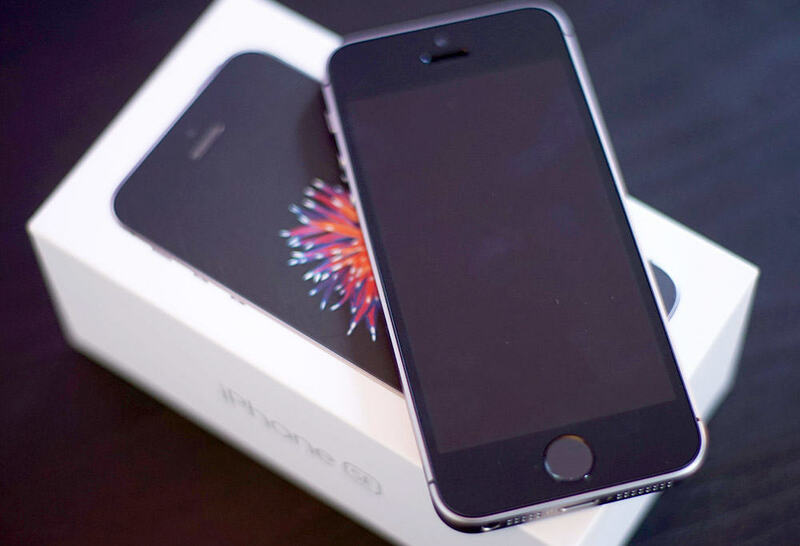 Unboxing the iPhone SE feels like a blissful reunion. The iPhone SE is screaming fast. The only iOS device that’s markedly faster is the iPad Pro, which is utterly remarkable given its small size and budget-friendly price tag. Cheap phones are usually underpowered, but with the A9 processor powering the iPhone SE, it can handle practically anything apps throw at it. It’s the Mighty Mouse of iPhones. Along with the faster processor the iPhone SE has a couple other internal improvements over the iPhone 5s that make it a more modern device. Apple added faster WiFi and LTE speeds. It also packs Bluetooth 4.2, NFC and Touch ID, bringing Apple Pay support. There’s something amazing about having a small phone that’s wicked powerful. Since reviewing the iPhone SE I haven’t had any problems with apps freezing. Multitasking has been a breeze. Editing pictures and playing games has been just as fast as on my iPhone 6s, and I’m starting to find that I prefer to do most tasks on the smaller device. 4 inches is just right. No other company makes a decent smartphone with a 4-inch screen anymore. The iPhone SE isn’t just a decent phone though, its a great iPhone, and the tiny screen is actually a delight. Sure, you won’t really want to read a novel off it like the iPhone 6s Plus, but I find it’s perfect for everything I want to do on my iPhone. The smaller size means most people will be able to reach from the bottom corner to the top without contorting your hands into some franken shape. I’m always dropping my iPhone 6s when trying to use it one-handed. The iPhone SE hasn’t slipped from my grasp once. There are some drawbacks to the little screen though. The contrast-ration is slightly worse than the iPhone 6s. There’s also no 3D Touch, but that’s not much of a loss. I’m also not going to be able to turn it into a VR headset, and some websites and apps don’t display as nicely. However, I feel like it’s a less-distracting device. My attention doesn’t get swallowed up by a giant screen that begs me to watch just one more YouTube video. I pull it out, check my apps, send messages, take a picture, and then it’s back in my pocket. It’s so small I almost forget it its there, unlike the 6s Plus which causes some pinching in the trousers. The iPhone SE is a perfect point-and-shoot camera. If you’re upgrading from an iPhone 5s or lower, the camera alone on the iPhone SE is worth the price tag. For $399 you essentially get a great point-and-shoot camera, that is also a kickass smartphone. One reason I love the iPhone SE design is it feels so much better using it as a camera than the iPhone 6/6s. Now that Apple has added a 12MP rear-camera sensor to the 4-inch device, it seems like it could be a favorite among photographers. The only drawback to the iPhone SE cameras is the front-facing Facetime camera. Instead of bumping up the sensor to 5 mega-pixels, Apple kept the same 1.2 mega-pixel sensor from the iPhone 5s, so your selfie-game will take a serious hit. The pictures coming off the iPhone SE iSight camera though are just as good as the snappies you’ll get on the iPhone 6s. Low-light photos are still pretty grainy and pixelated, but it also shoots 4K video and LivePhotos. The SE actually fits comfortably in my running shorts too, so I’ll be more likely to take it with me everywhere, and pull it out more. The iPhone SE has enough juice to last all day and then some. Smaller size doesn’t mean weaker battery life. In my brief testing I’ve found the iPhone SE has way better battery life than my iPhone 6s, even though I’m using it just as much, if not more. The iPhone SE’s pared-down features allow it to sip battery life slower while giving essentially the same performance. I can actually make it through a full day of heavy usage without needing to recharge it. For the first time in my life, I bought a new Apple product without having to worry about it destroying my bank account. The $399 starting price is great for people on a budget, teens or anyone who just wants an affordable phone. The 64GB model is pretty much a no-brainer $499 upgrade though if you do anything more than surf Safari and Facebook. I don’t know if I’m going to go back to my iPhone 6s. 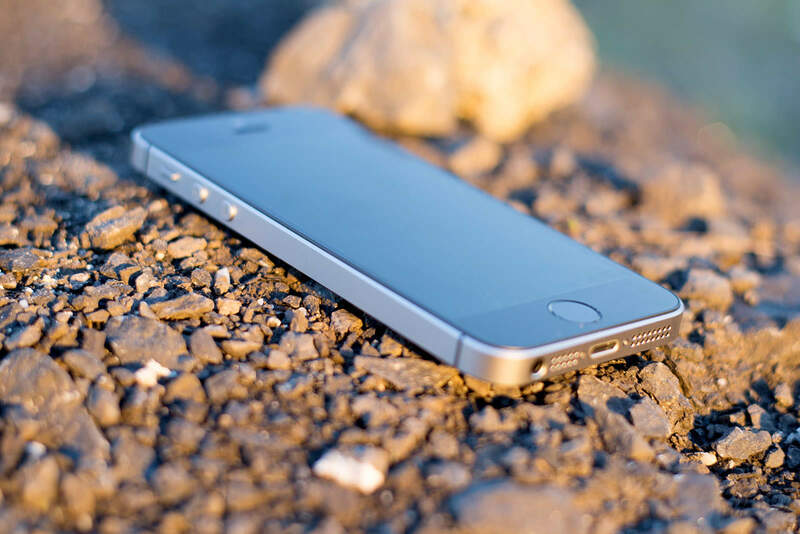 Despite its diminutive stature, the iPhone SE is a good size with a lot of power and a perfect design that will make you fall in love all over. The iPhone SE’s greatest feat is that it will make you question whether or not you really need an iPhone 6s. Sure the 6s is bigger. It’s got a sleeker body, and a couple new tricks. But the iPhone SE is a classic reincarnated for a farewell tour that demands your attention. Thank you for such a fantastic blog , and I have been on the lookout for such information. Good information about the Best smart phones on sale and coming up 2016. 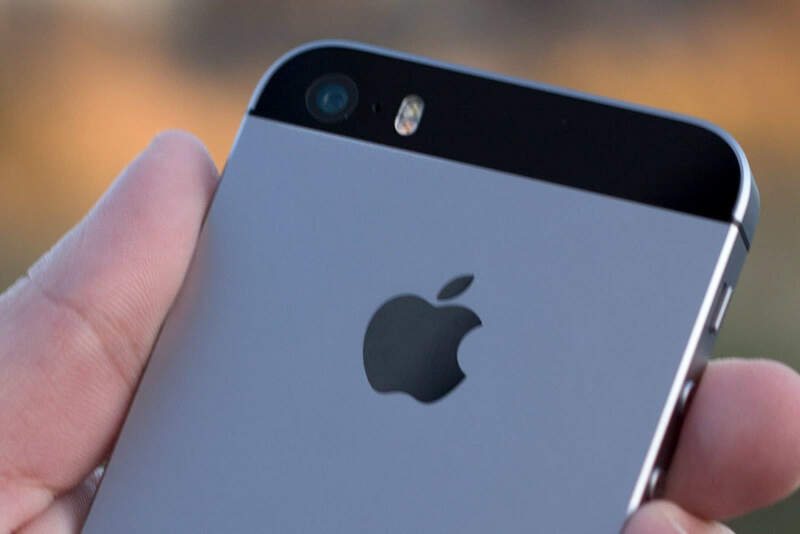 As far as the cameras are concerned, the Apple iPhone SE packs a 12-megapixel primary camera on the rear and a 1.2-megapixel front shooter for selfies. Apple gives one more best product to our customers. I agree with your points iPhone SE proves size doesn't matter, if product good so i think no problem to purchase. 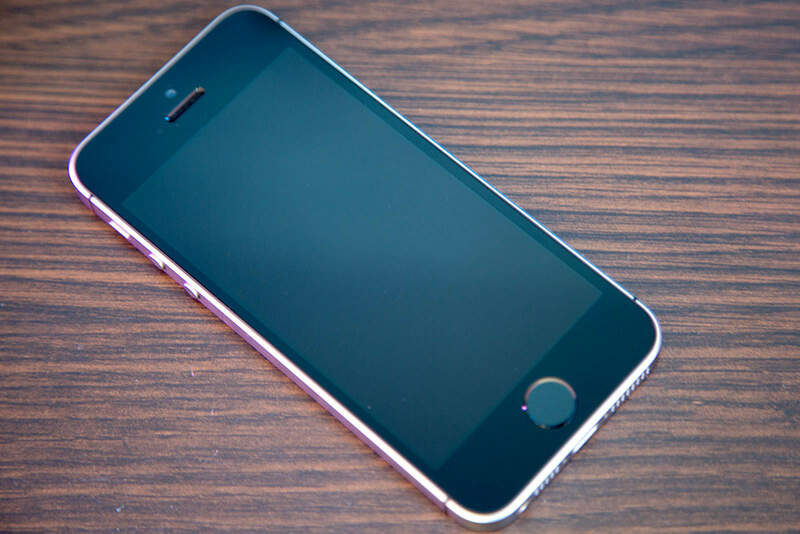 if you are looking iPhone SE replacement parts so i would like to recommend Bulk Repair parts online store, here you get all iPhone SE replacement parts at low price with lifetime warranty. Thank you for the guide, do you have any idea about how much will be Price of iphone 7 plus in india 2016?